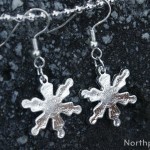 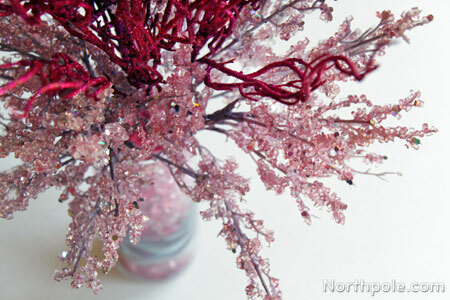 Christmas is a faaaabulous time of year! 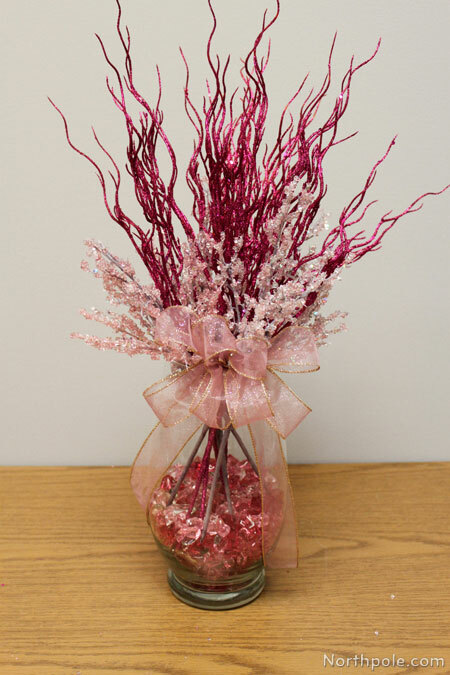 Brighten up any area with this wintery pink arrangement of branches and icicles. 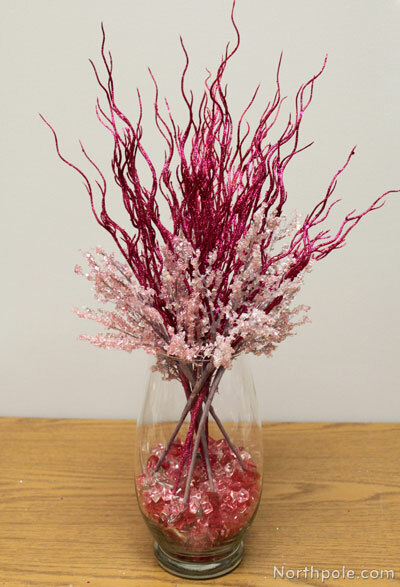 Pick up whatever type/color of winter branches you like from the craft store, and this quick & easy centerpiece could be on your table in no time. 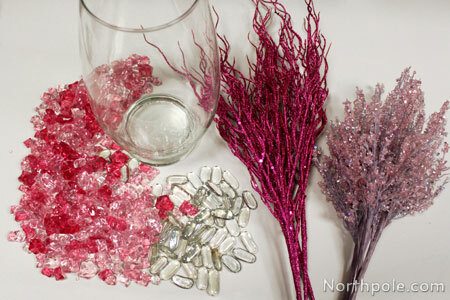 Add clear and pink pebbles to vase. 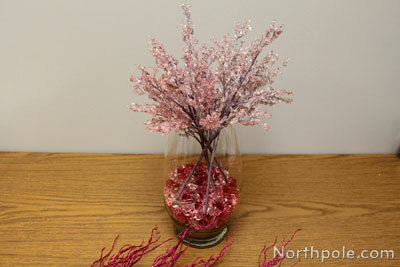 Slightly separate the breaks of the branches to make them appear fuller. 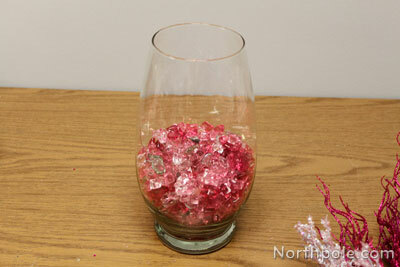 Add the shorter branches to vase, criss-crossing the stems. 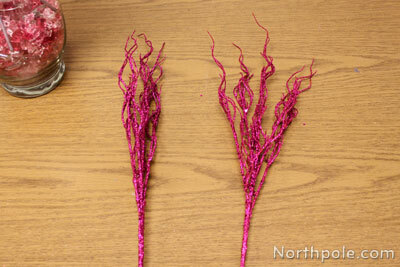 Add longer branches to vase. 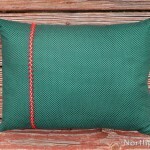 Add a ribbon or other décor as desired. 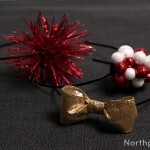 For instructions on how to make a bow like the one below, click here.